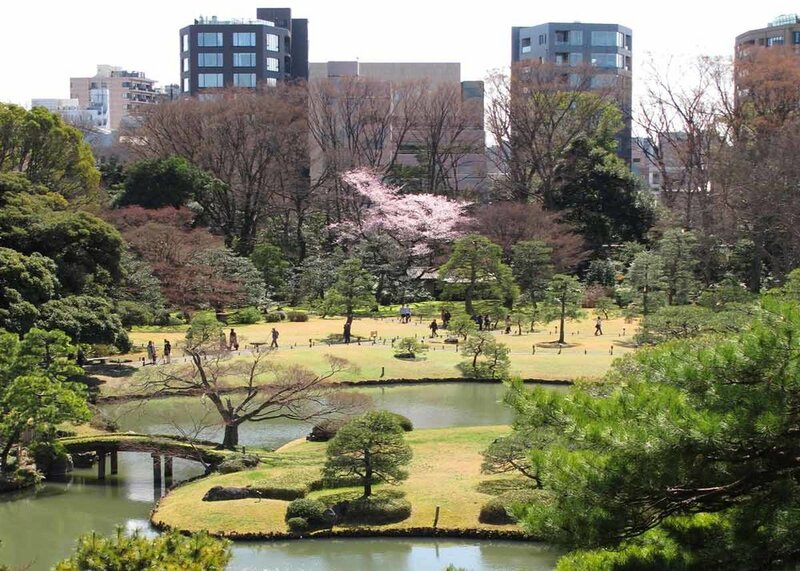 Tokyo is known for having some of the most beautiful public parks and gardens in the world. These living works of art come in all shapes and sizes, from ancient estate gardens to small pockets of greenery reserved by the literary elite. With hundreds of years of history behind it, Koishikawa Korakuen is one of the best Edo-era gardens in Tokyo and one of just a handful of surviving examples from that period. It once belonged to the Tokugawa clan, the family which ruled over Japan for over three hundred years as the last feudal Shogunate. When this spectacular Japanese garden was being built, its Tokugawa masters were very inspired by the Chinese classics they studied. As a result, traditional Chinese garden aesthetics influence many aspects of Koishikawa Korakuen. The Full Moon Bridge, for example, is an impressive structure which managed to survive fully intact since it was constructed in the early Edo period. The shape and positioning of the bridge is meant to create the impression of a full moon on the pond. Open: 9:00am-5:00pm. More details here. Transport: Short walk from Korakuen subway station on the Marunouchi and Namboku lines. Mukojima Hyakkaen is an small Japanese garden in Tokyo’s Sumida district, originally tended by a merchant. It is on a more limited scale than the sprawling gardens of the daimyo, or lords. The garden has close ties to Japan’s literary world and 29 stone monuments, including poetry engravings from familiar names like Basho, and calligraphy inscriptions from esteemed Japanese poets, are scattered throughout the grounds. One of Mukojima Hyakkaen’s proudest features is its Bush Clover Tunnel. The clover tunnel is in peak bloom around September, enveloping visitors in an embrace of lush greenery and pale pink blooms. While autumn is the best time to see Mukojima Hyakkaen , the garden has been designed so that it has different flowers, trees and herbs blooming all year long. The name “Hyakkaen” means “Garden of a Hundred Blooms”. Transport: Six-minute walk from Higashi-Mukojima subway station on the Tobu Skytree Line. The stunning Japanese garden of Rikugien was once part of the impressive estate of a daimyo back in the early 1700s, and has been faithfully preserved and restored over the years. The name “Rikugi” means “Six Principles of Poetry”, and the garden was designed around this literary concept. For example, parts of the garden were designed to resemble famous sightseeing spots around the country, such as Wakanoura, a scenic seaside area of Wakayama Prefecture. With its breathtaking landscape backed by the sea and dotted with mountains and shrine, Wakanoura is famous for frequently appearing in the ancient poetry of Japan. 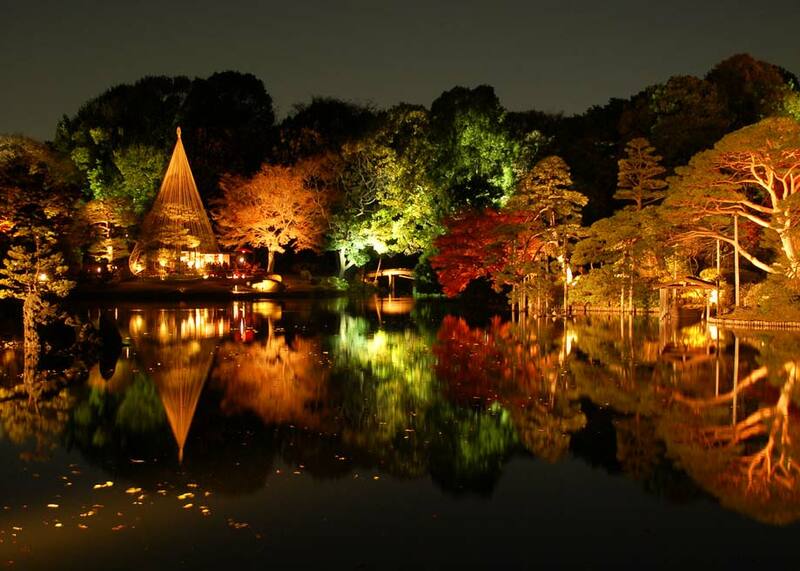 Rikugien is one of the largest and most beloved gardens in Tokyo. It is best known for its spring cherry blossom and autumn foliage light ups, when the colorful seasonal trees are illuminated and the park stays open until late into the evening. Transport: Less than ten minutes from Komagome subway station on the Namboku and Yamanote lines. What's your favorite Japanese garden in Tokyo? Let us know in the comments below!